I remember December 14, 2012 vividly. The kids had gone to their first movie in the movie theater earlier that fall and fell in love with all things Disney in one fell swoop. But, as princess movies go, I was happy with Brave. My little girl had spent all fall pretending to be an archer and saying things like, “I am Merida, first-born descendant of Clan Dun’Broch., and I’LL be shooting for my OWN hand!” I was raising a self-confident girl, and I couldn’t have been prouder of her. That morning, on December 14, I took cupcakes to Sophia’s pre-kindergarten class to celebrate her birthday. We passed out treat bags and came home at lunch time, and I habitually turned NPR on the radio. I listened in horror for about 30 seconds, looked down at my kids in the room, and turned the radio off. I opened my computer, and the news sites were all reporting the same thing: Someone had broken into a school and massacred a classroom full of first-graders. The Massacre of the Innocents. The reports continued coming in, more and more details. But, it was still my newly-minted 5-year-old’s birthday, so I closed my computer, wiped my eyes, and we celebrated. That last one really got me, on a day, during Advent, when I was so torn between celebrating my own daughter and inescapably imagining myself in the shoes of the parents who had received devastating, heart-wrenching news. I glanced at our nativity scene and started wondering how that image might speak to the tragedy we, as a country, were experiencing. But that’s not really accurate. Jesus was born into a world embracing its brutality, to a world that was massacring babies and toddlers. According to the Gospel of Matthew, when King Herod discovered that another king was prophesied to be born, he ordered the immediate killing of any boy under age two near Bethlehem. The Massacre is just as much a part of the Christmas Story as is the little baby in the manger. When we tell the story of the Hope that was born on Christmas, we must also tell the story of the grieving mothers, the lives that were lost. Of course, there are many historians who doubt the historicity of this event. Whenever the historicity of an event in the Bible is in question, I find it even more interesting, because that means that there is a theological reason the text is included. Here, the writer of the Gospel of Matthew found it necessary to tell this part of the story, to include the grief that was associated with the coming child. This week’s theme is Joy, and this is not a particularly joyful story. At all. There is no “silver lining” to the slaughter of children. This is not a yin-yang situation; they aren’t some foil in a cosmic plot. It’s tragedy. But what I dwell on here is that Matthew gives us a model; we are reminded that, even in the great joy that is the coming Christ, we still bear grief. We still bear sorrow. Children were slaughtered at the time of Christ. Children were slaughtered on this day two years ago. And today, as you read these word, children and adults are still living and dying in tragedy and suffering. I’ve heard it said that two emotions can occupy the same space; I could simultaneously feel joy for my daughter and grief for the kids at Sandy Hook. We do not need to be all joyful or all angry or all sad. That is even true in the story of Advent; when we look at the narrative from different perspectives, we can sense varying emotions from the different characters. Whatever you are feeling today, it is in the Christmas Story, somewhere. I love that Hope is the first theme of Advent, because it reminds us from the beginning that part of this whole time of preparation is the acknowledgment that it isn’t here quite yet. We aren’t all joy right now… but we have hope. We have hope that there is joy, and there is more joy to come. The Coventry Carol is a song written in the 16th century, memorializing the Massacre of the Innocents. 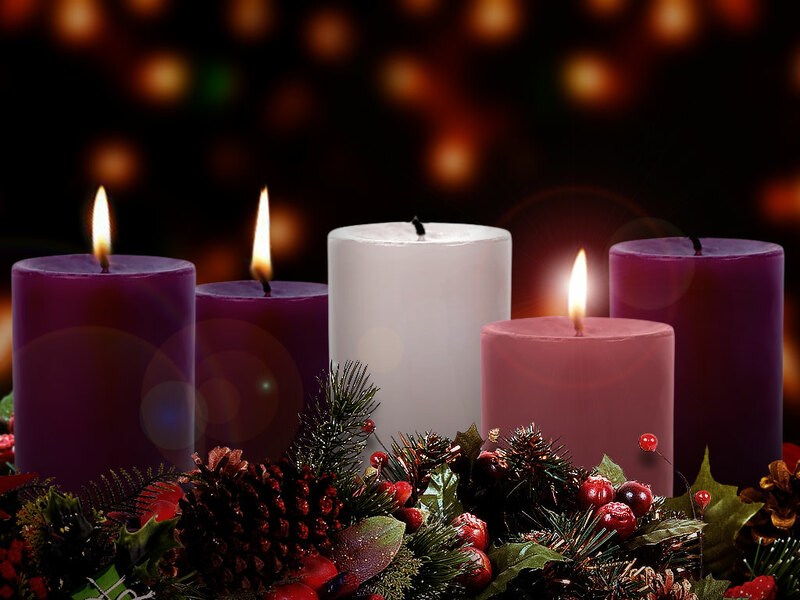 As we sing about hope and peace and joy in our carols this season, may we also remember and name those without. May we remember that our joy is someone else’s grief, and that God is joyful – and grieving – right alongside us.